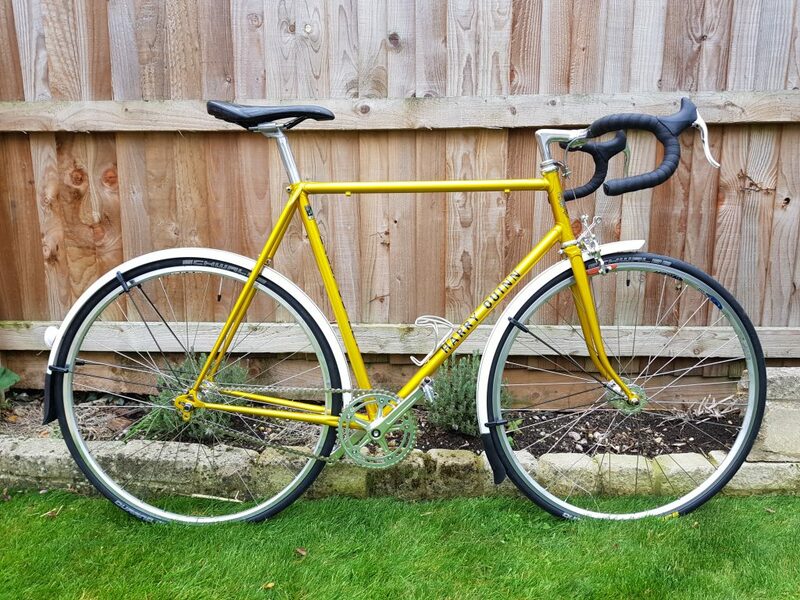 19,201 • 1978 Harry Quinn road frame resprayed in flamboyant yellow. 46 x 18, System EX track hubs (Shinano front dynamo wheel or winter, hence fork crown lamp bracket). Gran Compe GC700 centrepull brake on front. The bike had sat in a barn for 30 years and, apart from the frameset, the only salvageable part was the SR Laprade seatpin.